Lupa Sans Pro is a typeface created and published by Melle Diete. This familt font includes 12 fonts. 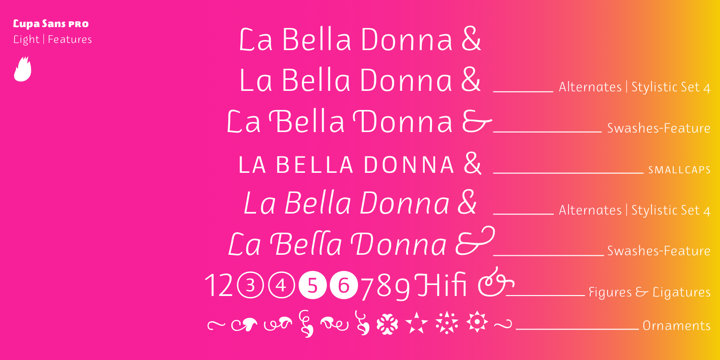 Each font has an extended character set that you can use in your projects. A font description published on Monday, November 5th, 2012 in Fonts, Melle Diete by Alexandra that has 3,260 views.